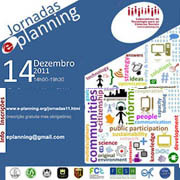 The purpose of this Workshop is to showcase exciting and promising projects in the growing feld of e-Planning, to take measure of the state of the art in e-Planning and a glimpse of what's ahead, and finally to promote the exchange of projects, knowledge and experiences between e-Planners from several countries. 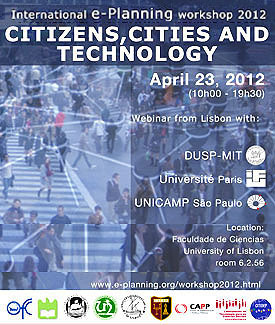 As always, inspired by MIT's Media Lab motto "Publish or Perish", but also "Demo or Die", this e-Planning Workshop intends to go beyond the traditional model of communication, creating both a space and an opportunity to see and refect the potential of tools, systems and approaches that we call "e-planning". This will be where communities and researchers meet to exchange, on an international level, their needs and their views on projects and approaches that are still under development. Beecitiz, a citizen's tool to solve the public road network's issues: the experience of a participatory map offered by Paris' municipality. The inhabitants don't take a large part in the management of the public space. A private software- Beecitiz – is used by Paris cityhall. This case study will be presented focused on the analysis of the role played by the different actors: the inhabitants, the municipality, the designers. 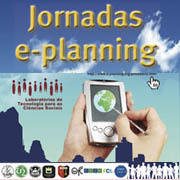 What makes e-planning different than conventional planning? 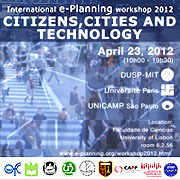 How does e-planning relate to GeoDesign, Landscape Urbanism and Landscape Ecology? 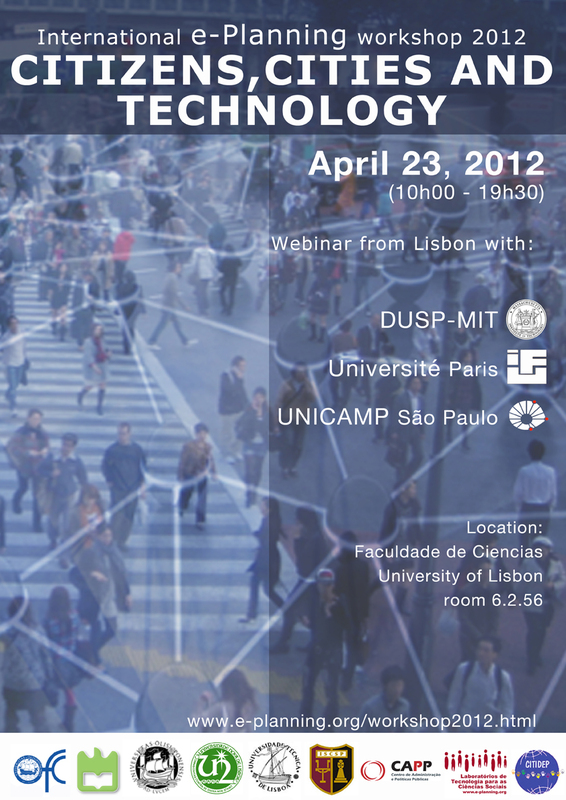 What skills and approaches are needed to address these issues and prosper in the new information economy? The answers to these questions are still being formed. However, recent research at MIT and elsewhere begins to show some interesting patterns. Prof. Flaxman will describe a set of projects which span a range of issues and approaches. The MIT Everglades project used participatory spatial simulation modeling to develop "alternative futures" for a region and to assess their consequences. The "Emerging and Sustainable Cities Platform" sponsored by the Interamerican Bank is trying to develop new methods for evaluating sustainability, ultimately across 500 diverse cities. Recent student PhD work used agent-based modeling to explore water resources conflicts and to create scenarios collaboratively online. Prof. Flaxman will review these developments, and offer his assessment of future prospects for the field, and what students and faculty might be thinking about in terms of research opportunities and required supporting and coursework skills. 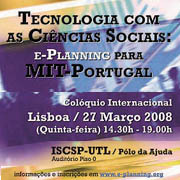 - Sample Communications from e-Planning students representing teams from France, Italy, Spain, USA, Brasil, and Portugal. “The Dilemma of Online Participation: The Imagine Austin Case"
IFU-U.Paris, & project manager at the Parisian Chamber of Commerce and Industry. Mutual campus "A smart and sustainable information management system for a campus which works / walks"
" e-Literacy, schools and municipalities towards a common goal: e-citizenship"
Networking and final opportunity to interact with posters and demonstrations.